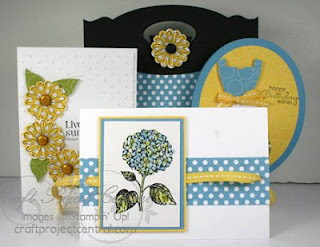 Have a blooming good time making this cheerful and pretty Best of Flowers card tote and cards! In this project you will learn how to make an easy hidden message card and a scaled down version of an easel card. Lot of crafting fun and the set makes a wonderful gift for teachers, co-workers, neighbors, you name it! This pretty little set was made by Sharon Burkert, and you can get her tutorial by subscribing to May over at Craft Project Central. A Treat Tote for Class! Hats Off Graduation Decor! Plus Blog Candy!